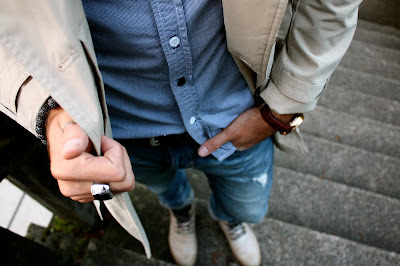 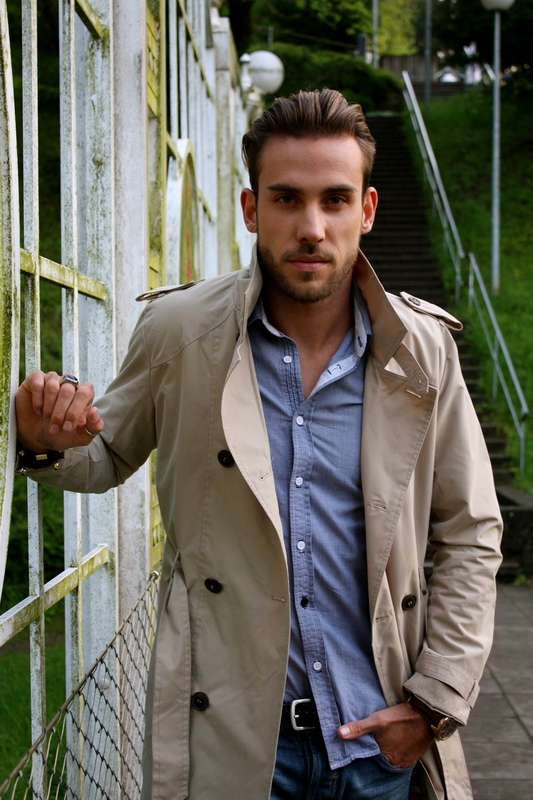 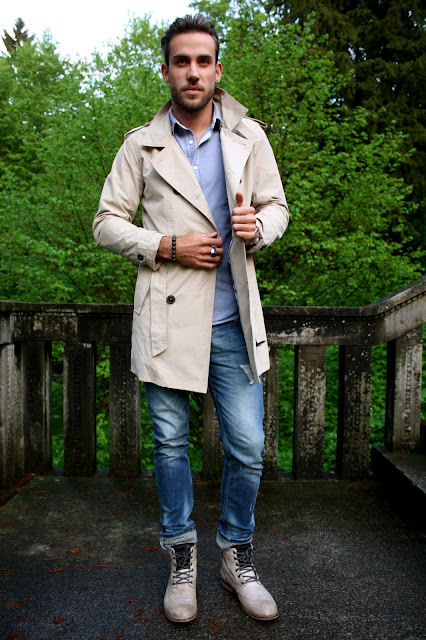 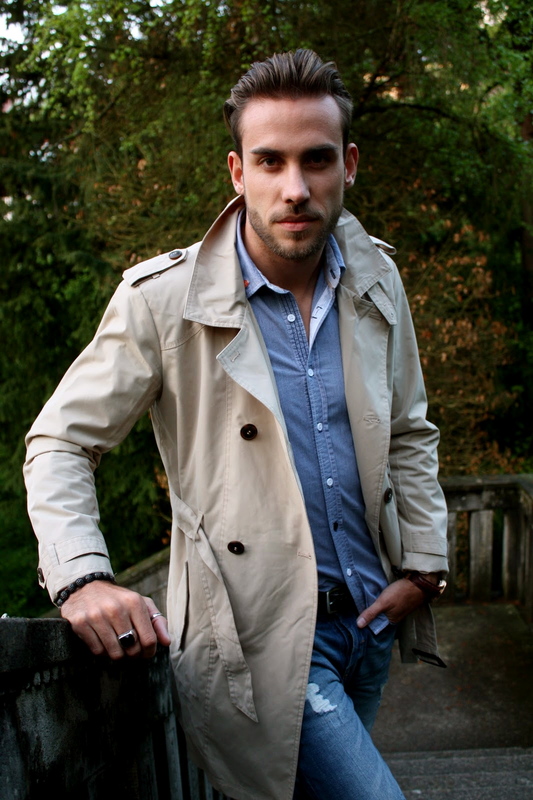 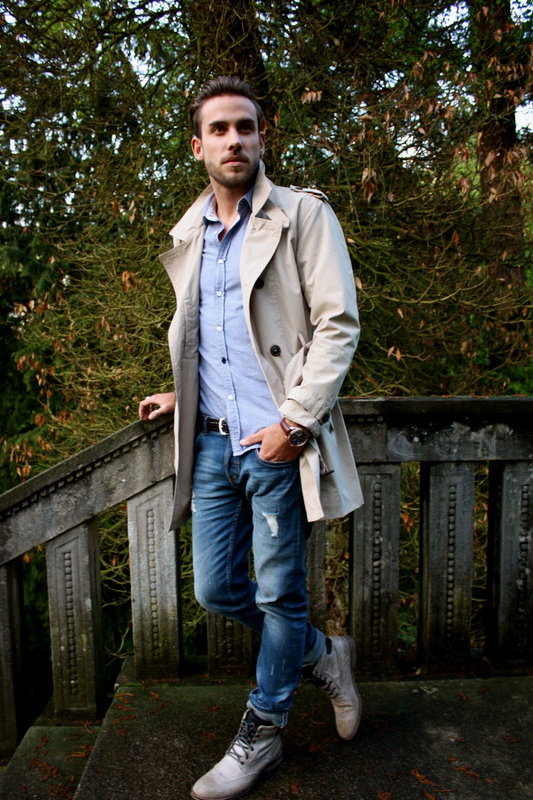 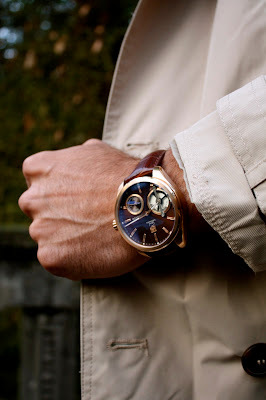 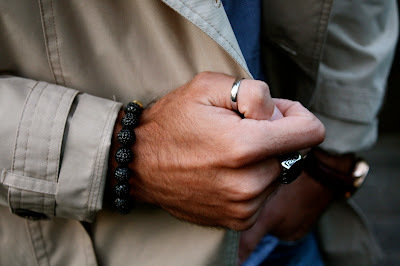 Since a few of the male followers among you mentioned that there were not enough posts for male inspiration and style on my blog I would like to make up for that and show you something a little different today.... Gentlemen, get inspired by this look which shows that a trench coat isn't something only women should invest in. 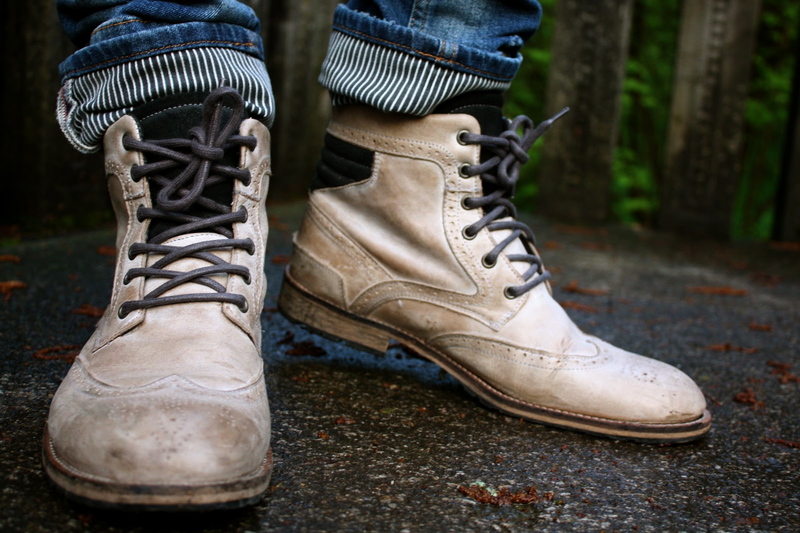 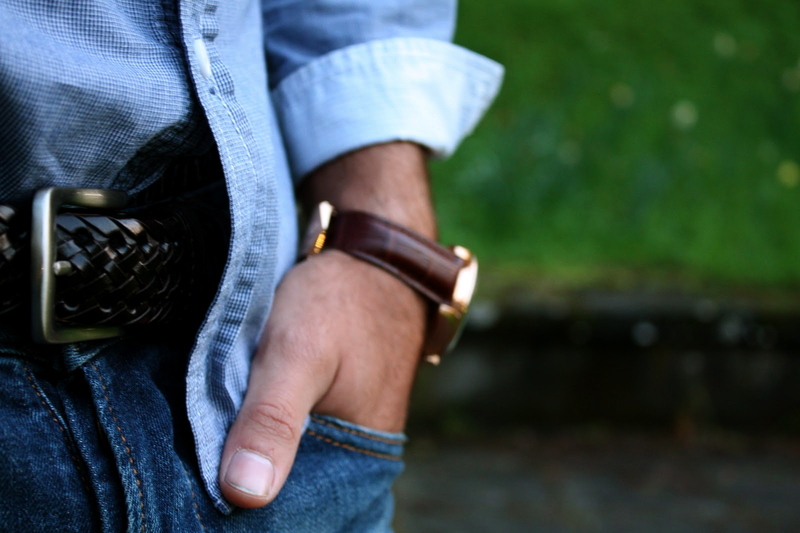 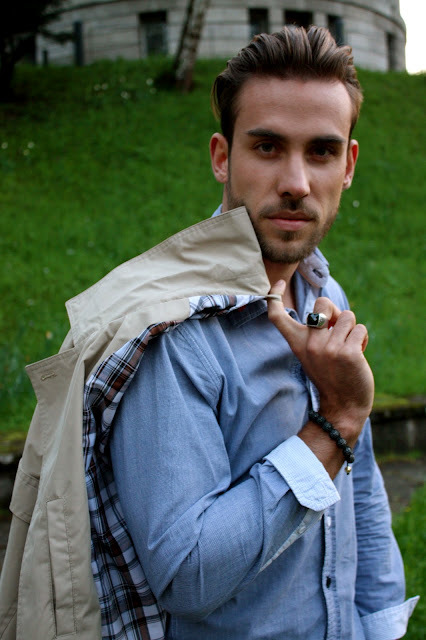 Combined with cool boots and a classy shirt your look can easily be brought to perfection. Ladies, I guess dressed like that our man is more than welcome to take us out for dinner. 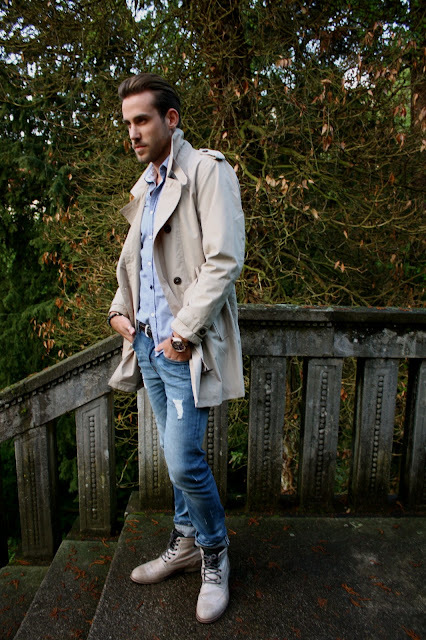 Gentlemen, trench it up - we are ready to shine with you.